Home» What is a Virtual Merchant? A virtual merchant account is simply an online account used for safe and secure credit card processing at both online and brick and mortar businesses. Using a virtual merchant allows you to have an online account that takes care of verification, processing and documentation of credit card payments. And all you need to set it up is an internet connection. 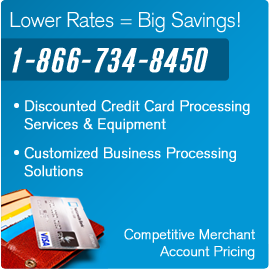 Virtual merchant accounts can be used by any business! Still have questions about virtual merchant accounts or credit card processing? Call us at 1-866-734-8450.